I was sitting around on my Sunday thinking.....I need to make a freebie JUST FOR MY BLOG FOLLOWERS!!! So, that's what I did! We've been working on measuring using non-standard measure lately. 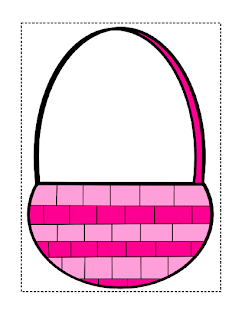 I hope this little Peep center is something you will find useful this week (or next, if you are on break right now). By the way, I'm jealous of those of you on break right now!!! 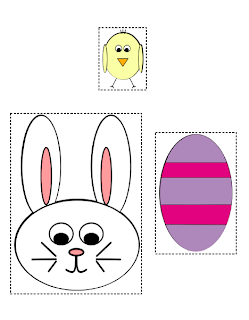 Click on the pictures below to get your FREEBIE!!!!! Just print and laminate. 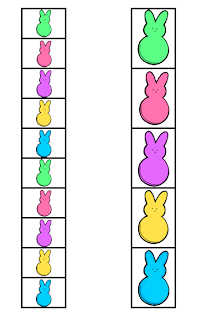 Use the strip of peeps to measure the pictures. It's a quick and easy center, but the kids will LOVE it! Don't forget about the giveaways!!!!! Check them out at this post. I love it! Thank you. 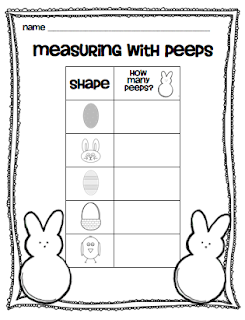 We are doing a measurement unit right now. So perfect. I actually never thought of doing a freebie just for blog followers. I'm going to do that right now! This is great. 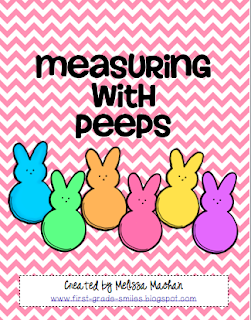 I'm working with measurement right now as well and it ties perfectly into my math groups.